Apple introduced recent contacts for the app switcher (aka multitasking menu) in iOS 8, useful for quickly calling and texting your most-contacted friends and family. 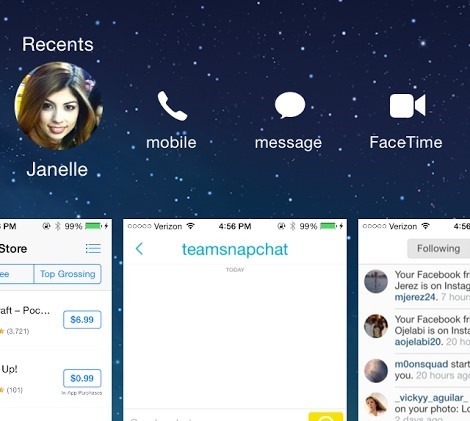 Just tap on one of the contact bubbles and an assortment of options appear—call, message, or FaceTime. While the feature can be helpful when you want quick access to functions for recent contacts, it may not be for everyone. 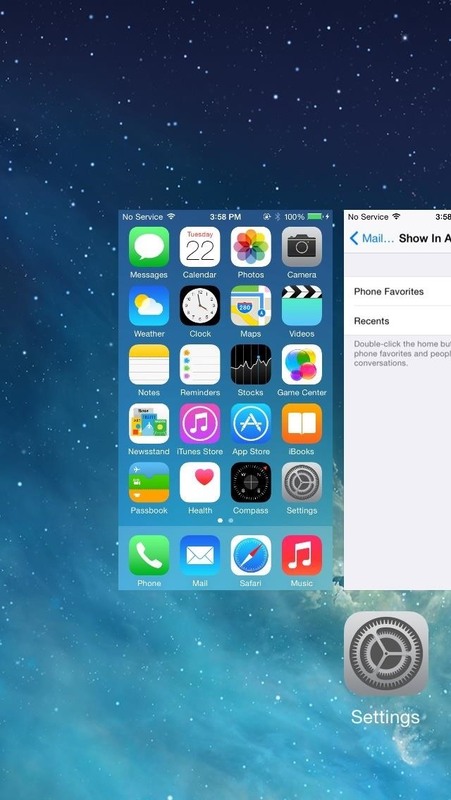 Check out the short guide below to learn how to easily remove recent contacts from the multitasking menu on iOS 8. 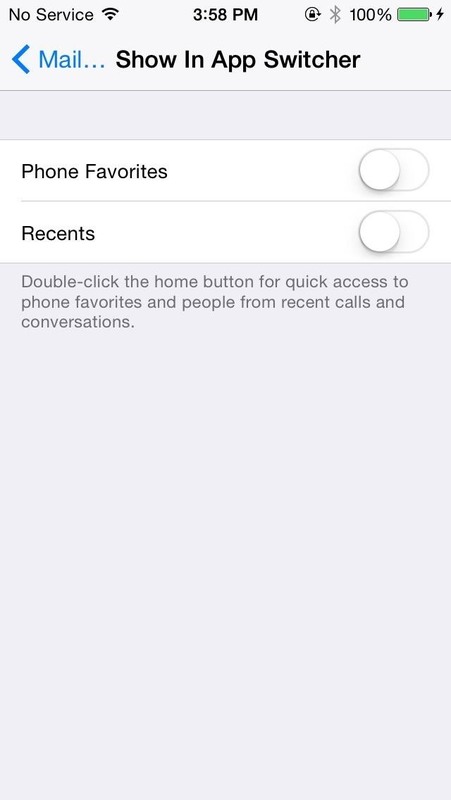 In Settings go to Mail, Contacts, Calendars, then Show in App Switcher, and disable both Phone Favorites and Recents. Now when you go to the app switcher (accessible by double-pressing the Home button), you'll see that recent contacts are gone, just like in iOS 7. In addition to disabling recent contacts, you can also choose to just have your favorite contacts enabled in the app switcher by keeping Phone Favorites on, if that's what you're looking for. While the feature could be helpful, it's always good to know how to disable something in the case that you want it gone. How can you change a favorite contact or just remove one? You can do that from your "Favorites" tab in the Phone app. to clear cache..... come on apple really ? Thanks, the most annoying ever, especially when you don't want to see that persons face constantly. Thank you som much for this post, that was driving me nuts! Does the recents show up even if someone text you and you don't respond? Or does it show up only if you have a ful conversation with that person?